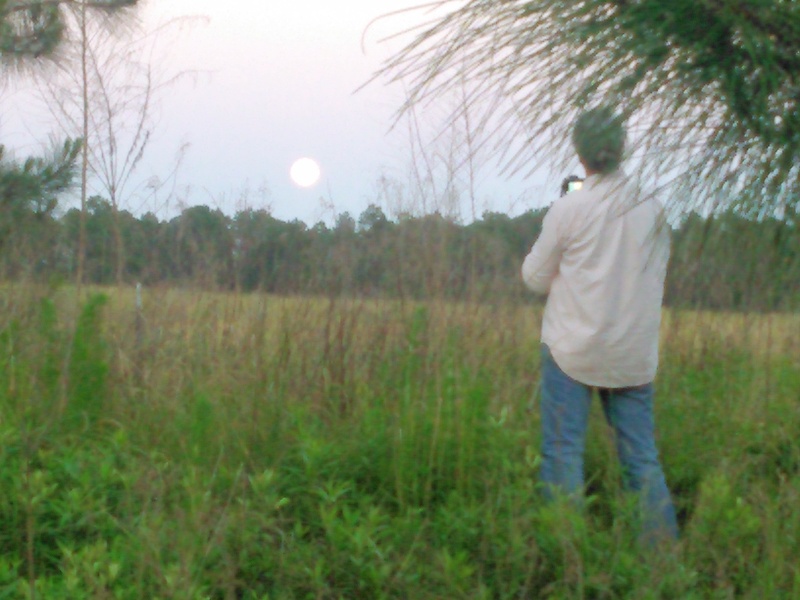 This entry was posted in Longleaf, Okra Paradise Farms and tagged Georgia, Gretchen Quarterman, John S. Quarterman, Longleaf, Lowndes County, Okra Paradise Farms, sky on October 23, 2017 by John S. Quarterman. 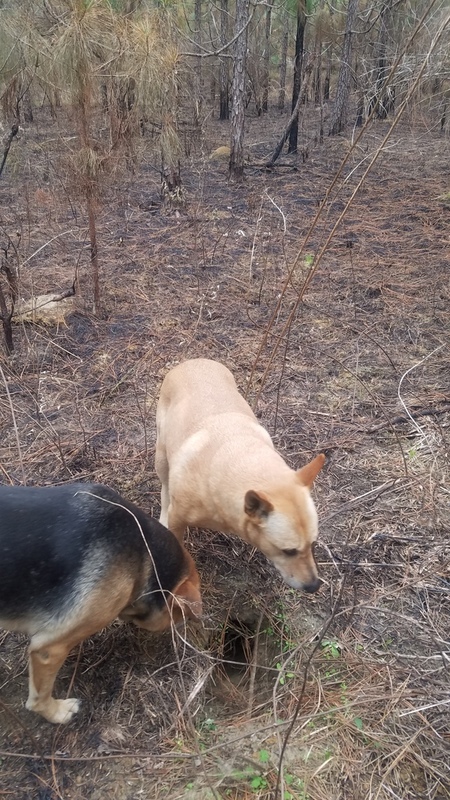 Gretchen yesterday saw a stray small dog with a collar cowering in a thicket, so she was trying again to catch it. 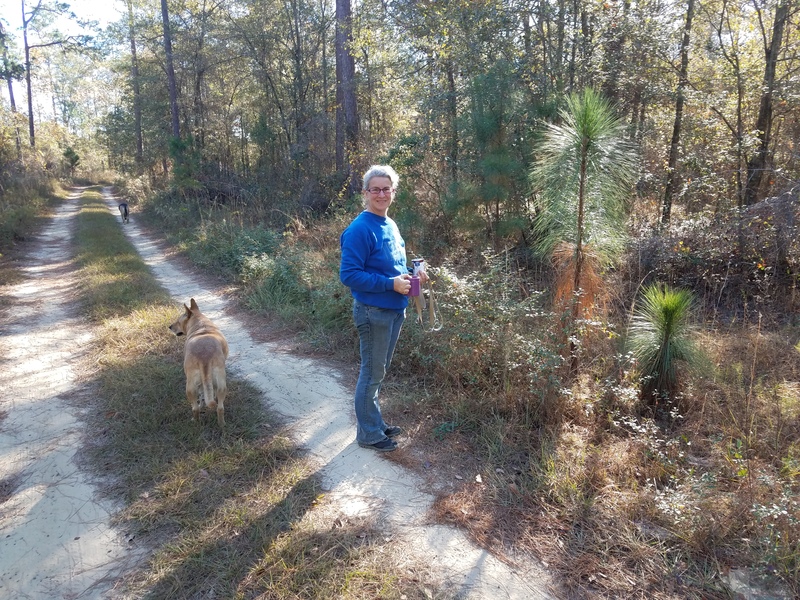 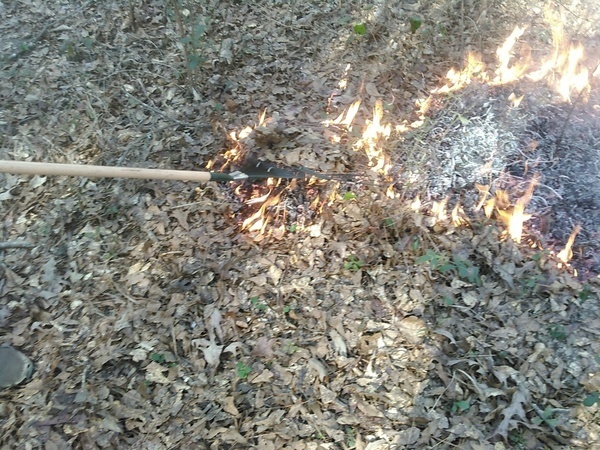 This entry was posted in Dogs, Longleaf and tagged Brown Dog, Gretchen Quarterman, Longleaf, Okra Paradise Farms, Yellow Dog on November 24, 2016 by John S. Quarterman. 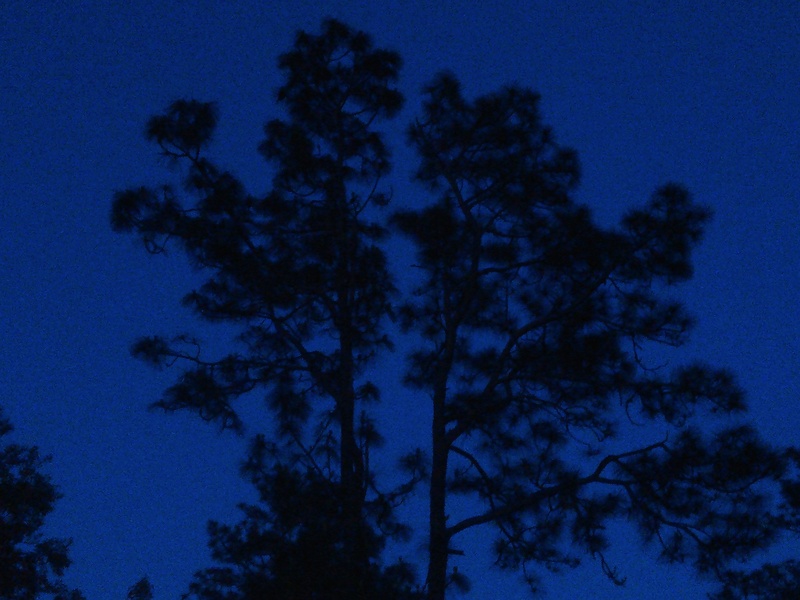 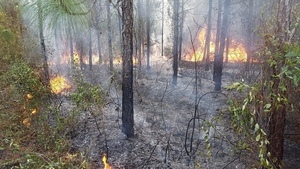 This entry was posted in Longleaf on May 3, 2015 by John S. Quarterman. 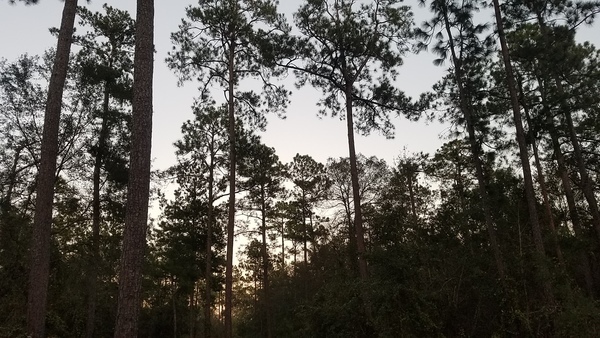 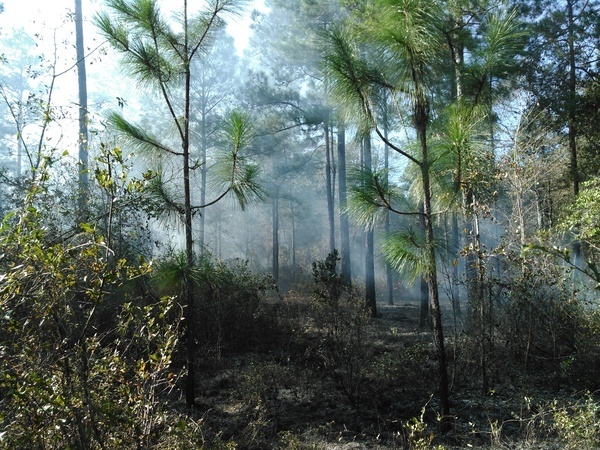 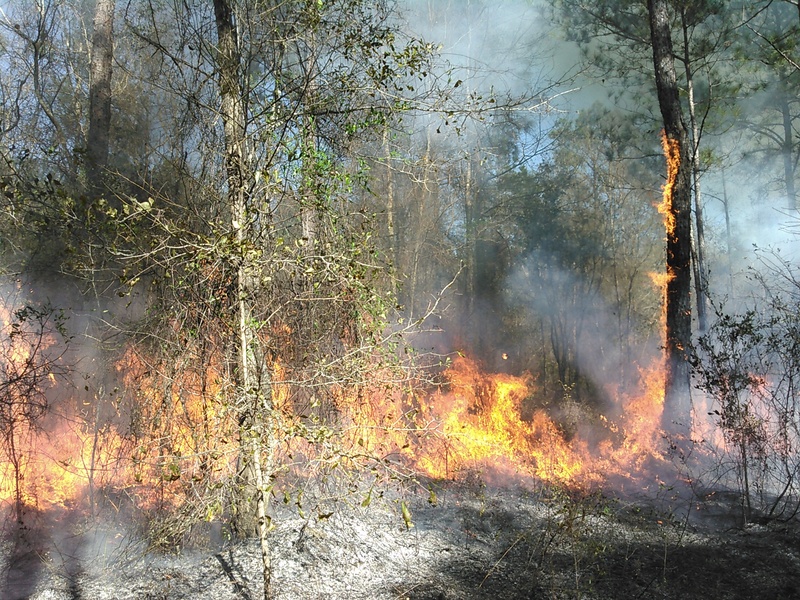 This entry was posted in Longleaf on April 10, 2015 by John S. Quarterman.